LOCATION LOCATION LOCATION! 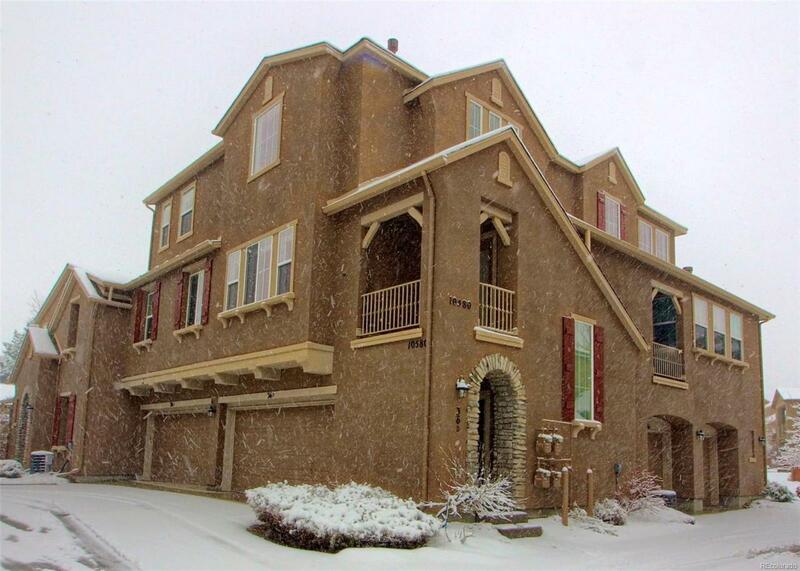 * THIS INCREDIBLE TOWNHOUSE IS IN THE CENTER OF HIGHLANDS RANCH! *GROUND LEVEL ENTRY AREA W/DOORS INTO THE ATTACHED 2 CAR GARAGE & FRONT PORCH! HEAD UP TO THE MAIN FLOOR FEATURING SOARING CEILINGS & MANY WINDOWS FOR A LIGHT AIRY FEELING! THE OPEN CONCEPT FLOOR PLAN HAS A KITCHEN, DINING & LIVING AREA! GREAT FOR ENTERTAINING! COZY UP IN FRONT OF THE GAS FIREPLACE ON A CHILLY COLORADO DAY! THE KITCHEN HAS LOADS OF CABINETS FOR STORAGE, PANTRY & DIVIDER TO EAT AT OR USE AS A BUFFET ON GAME DAY! THE MAIN FLOOR ALSO HAS A LARGE BEDROOM FOR FAMILY & GUESTS, FULL BATH & LAUNDRY ROOM! UPSTAIRS ENTER YOUR MASTER RETREAT! THE PERFECT PLACE TO UNWIND AT THE END OF THE DAY! THIS LARGE ROOM HAS A WALK IN CLOSET & A FABULOUS MASTER BATH W/EXTRA DEEP SOAKING TUB, DUAL SINKS, SEPARATE SHOWER & WATER CLOSET! *HIKING & BIKING TRAILS! REC CENTER AROUND THE CORNER! *TOP RATED SCHOOLS*WALK 2 GET YOUR MORNING COFFEE AT STARBUCKS OR TO GROCERY SHOP! *5 MIN TO PARK MEADOWS & I-25! Offered by Colorado Premier Properties.